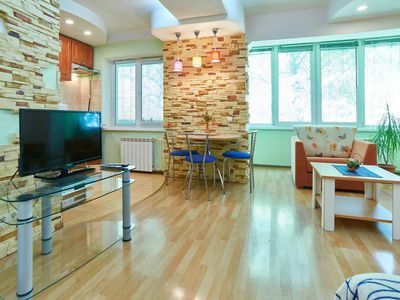 This charming and lovely renovated studio apartment is located in the very heart of Kiev historic center – exactly one block from Kreschatik street. 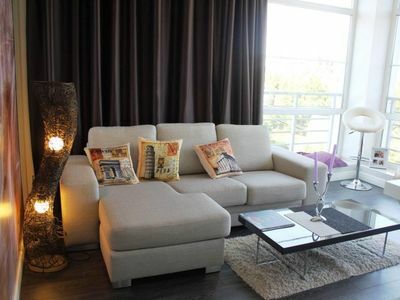 The highlight of this apartment is massive floor to ceiling windows that open up to Kreschatik and lovely park located downstairs. The apartment is located on the 8th floor of a 10 story building (with elevator and with door code). 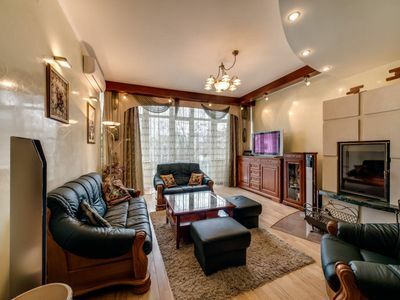 It features everything one may require for a comfortable stay in Kiev including a queen sized bed, small leather couch, 32 Inch LCD TV with Cable (over 100 channels including English such as Discovery, BBC, CNN, etc), High Speed Internet via Wi FI, large wardrobe area, fully equipped kitchen within dining area for two people, Air Conditioner, washing machine, bath tub with shower and more. 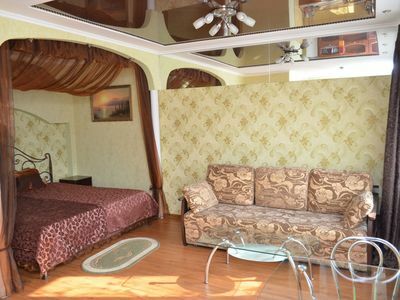 The apartment also has a balcony with one of the best Kiev city views. 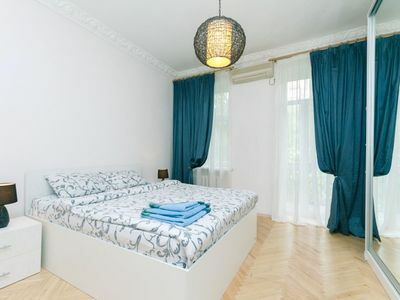 This is an absolutely wonderful charming studio to consider for your next stay in Kyiv. 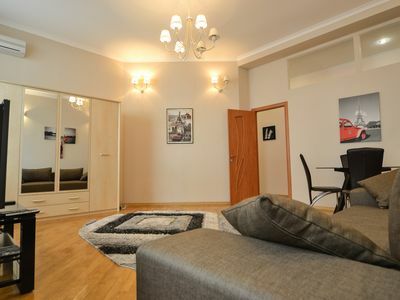 All of downtown Kiev historic attractions are also within walking distance away (Independence Square is 3-4 minutes walk) along with dozens of cafes, restaurants and nightclubs including some directly downstairs. 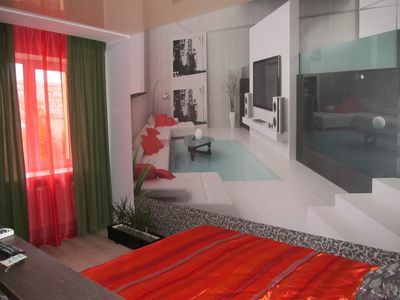 1bedroom apartment near " Gulliver"